Christian Haschek from Austria has developed a system to identify illegally uploaded pornographic images. Following the upload of a child sexual abuse image to his image hosting platform, Pictshare, Haschek naturally contacted the police who told him to print it out and give it to them. Knowing that this was illegal in itself, Haschek instead turned to the Raspberry Pi to solve the problem. 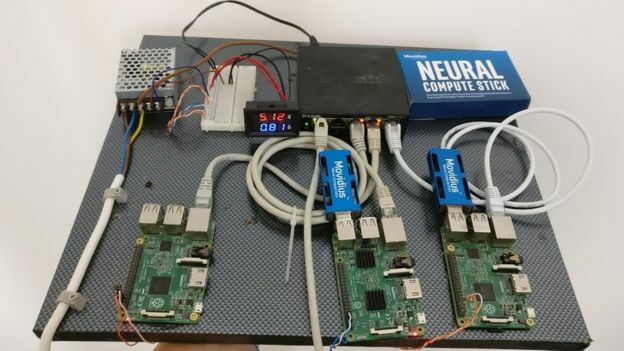 Three Pis were used, two with Intel Movidius USB dongles, used to classify images together with open source algorithm NSFW which available from Yahoo free of charge. He set the scanning system to find any image with a 30% or more chance of being dodgy and got it to report the images to him so he could send them to Interpol and then delete them. So far, he has found more than a dozen illegal images on the platform. You can read more over on Christian’s blog.